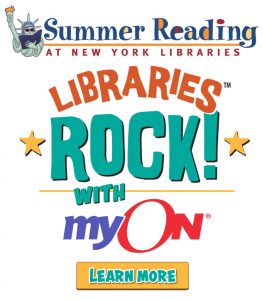 As a part of Summer Reading at New York Libraries, the State Education Department and myON are partnering to bring thousands of enhanced digital books to children from birth through 8th grade and their families all around the state. The myON Digital Library provides young readers with more than 6,000 fiction and nonfiction ebooks covering a broad range of topics and themes. Flexible supports include professionally-recorded audio, text highlighting, an embedded dictionary and a zoom feature to support independent reading. These features enable families to read together, even if there isn’t a proficient adult reader in the household. Resources and tips for parents and educators include on-demand videos, tip sheets, strategies, and more to support meaningful family literacy experiences. Readers can access the myON Digital Library and its special features online from any web-enabled device and offline using free mobile apps. Families can download up to 20 books at a time for reading offline. myON logins may be used anytime and anywhere – at school, at the library, at home, or on the road. Students who already have a myON login will continue to use that login to access the myON Digital Library and continue reading throughout the summer. 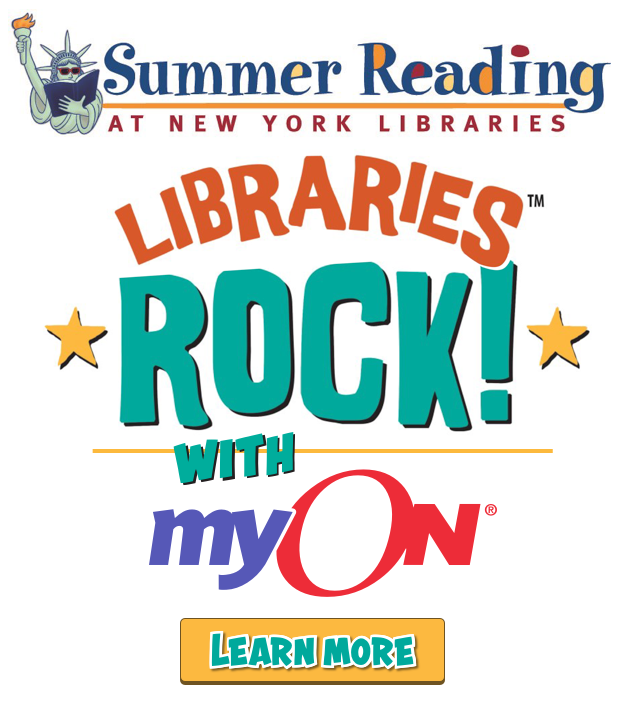 myON has provided special Summer 2018 logins for all other children an families so all of New York’s children from birth to 8th grade can read anytime and anywhere from May through September 2018. 1) Go to www.myon.com and click on the “myON Login” button. 3) Select a book and start reading!